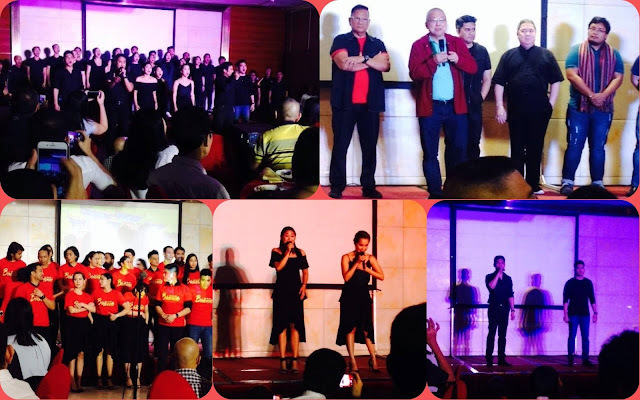 Last April 12, 2018 a press Launch was held at Oriental Palace Tomas Morato for Binondo, A Tsinoy Musical.Produced by Dr. Rebecca Shangkuan Chuaunsu, this musical is based on a love story told to her by a man he met during one of her trips to Mainland China some 32 years ago.She said that the story never left her and is etched on her memory and what better way to retell it more but by making it into a musical. She then contacted her mentor, Director Joel Lamangan to direct the play and the piece has been translated into a musical by master writer/storyteller, Ricky Lee. BINONDO revolves around Lily, a hopeless romantic who searches for true love.She finds her unlikely true love in the person of AH TIONG, a Chinese man she met on one of the fullest moons ever recorded on the birth date of GE Lao, the Chinese deity of Love. What makes the story even more exciting is the fact that there is a third person involved ( a love triangle) in the person of Carlos, a Chinese childhood friend of Lily. Will love overcome racial prejudice or will biases take over? The play is a clear indication that there is really different kinds of love that occur at different moments in life. The other big question is, can there really be a space for two people in one’s heart? Well, we have to watch the play to find out for sure. The cast includes Shiela Valderrama as Lily ( alternate: Carla Guevarq –Laforteza); Arman Ferrer as Ah Tiong (Alternate: David Ezra) Floyd Tena as Carlos ( Alternate: Noel Rayos) Mariella Laurel as Jasmine and Ashlee Mickaela Abad Factor as Ruby; Ima Castro as Mrs dela Rosa and Ana Feleo as Lourdes among others. Choreographed by Douglas Nierras and songs written by Von De Guzman, BINONDO, A Tsinoy Musical will have shows at the Theatre Solaire on the following dates: June 29 at 8pm; June 30 and July 1 at 3pm and 8pm; July 6 at 8pm and lastly July 7 and 8 at 3pm and 8pm.